You often hear of enterprise development of black owned small businesses in other fields but seldom in the private health sector. But one company is making a mark. 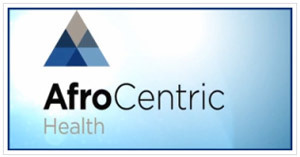 Recently, AfroCentric Health, the supplier of sustainable health solutions, has affirmed its continuous support for a number of black-owned small-and medium-sized enterprises (SMEs) operating within the healthcare sector. As part of its B-BBEE initiatives, the company will forge stronger business relationships with smaller suppliers, and to assist them to grow their capacity, businesses and profits. The Enterprise Development Programme, in which the group has invested just under R3m, has four beneficiaries, namely Eluthandweni Maternity Clinic in Gauteng’s Ekurhuleni region; A’ Dare Women’s Wellness Centre in Mabopane; Xenia Information Technologies in the East Rand; and Karogano Trading and Projects in Soshanguve. Meanwhile the Supplier Development Programme, in which the group has invested just over R5m, includes seven beneficiaries. These are Black Ground Outdoor in the Midrand; The Media Writer’s Firm in Bedfordview; T.L. Nursing Agency in Centurion; Provision Research and Events in Midrand; On Point Mobile Spa in Lyndhurst; Kwelanathi CC in Midrand and Zwide Photos in Soweto.